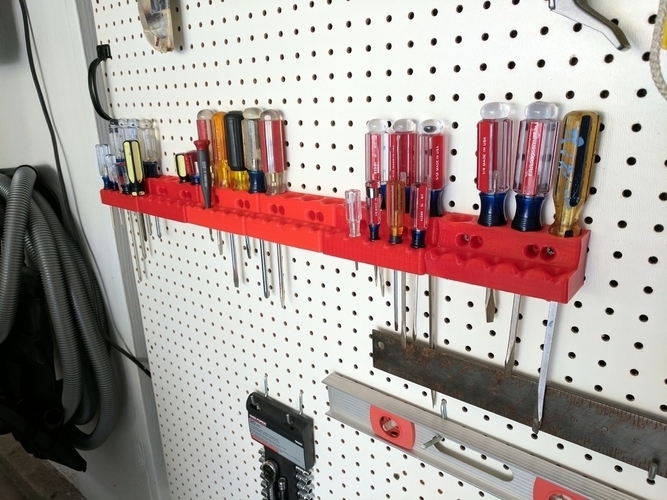 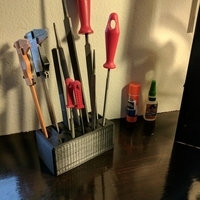 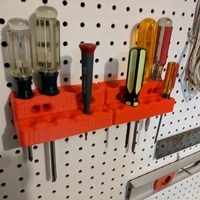 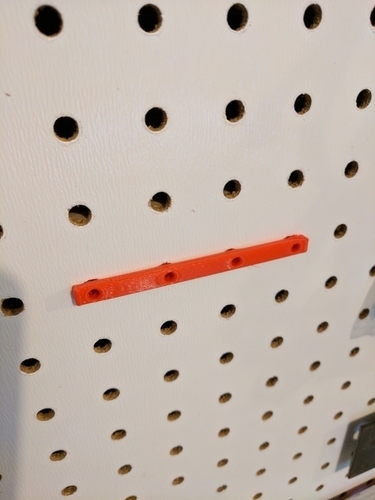 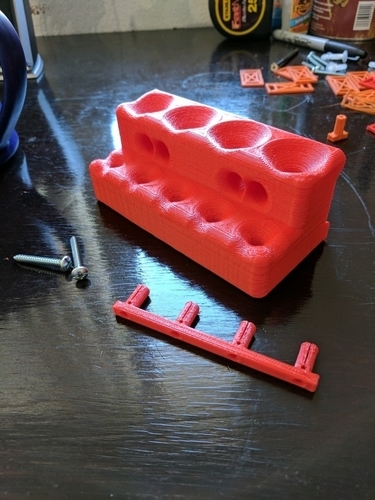 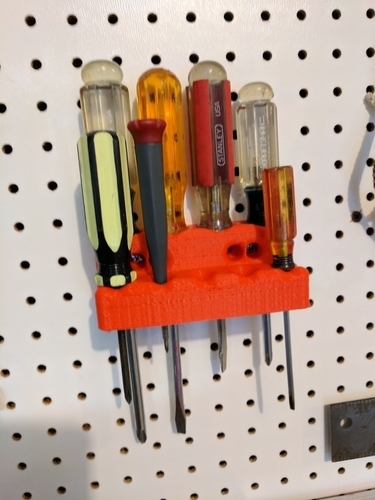 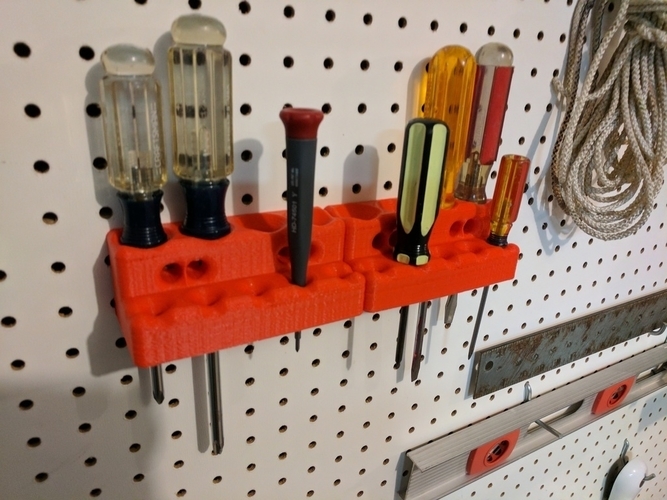 Use with common (in the USA) pegboard with 1/4" holes on 1" spacing. 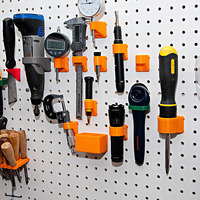 Can use common drywall screws (or any "wood" screw with ~4mm outside diameter). 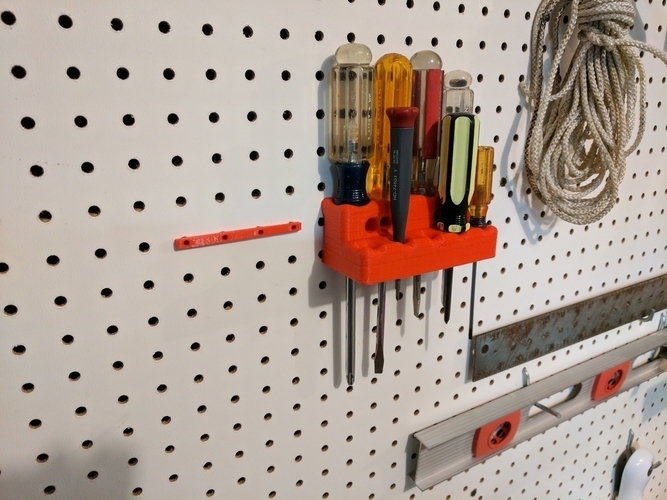 Does not damage the pegboard. 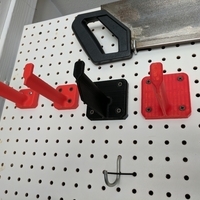 Anchors should be somewhat re-usable. 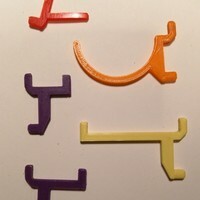 Allow for differing alignment by 1/2 grid space horizontal (thus four holes in the holder). 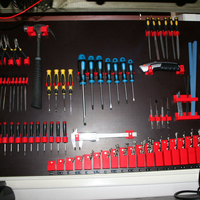 Easy to keep clean (no complex exposed surfaces). 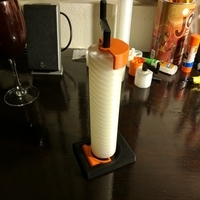 Very (very) solid!